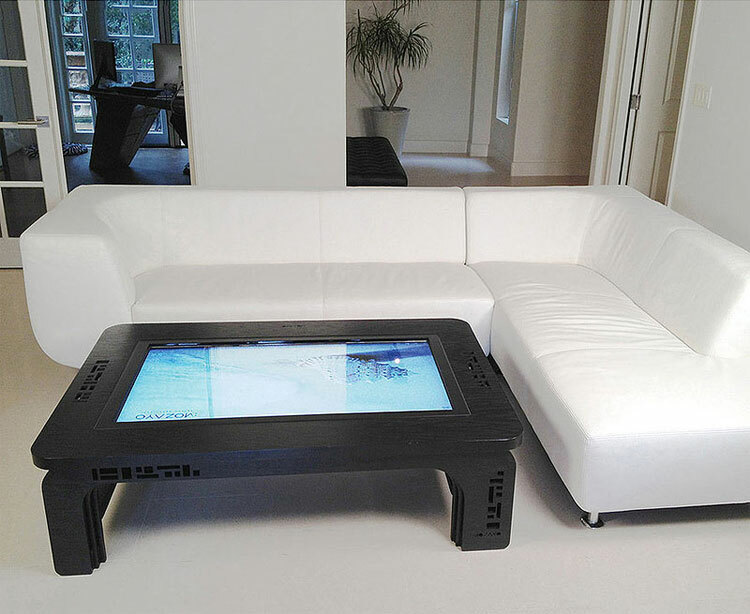 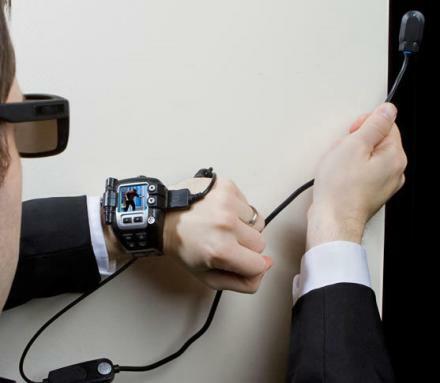 The touchscreen coffee table computer is basically a giant tablet that sits right in the middle of your coffee table that incorporates a fully functional Windows 8 operating system, and is great for people who love technology, wipe their asses with cash, and hate their necks and back. 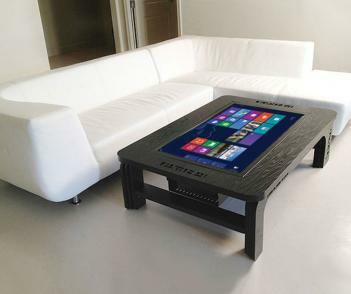 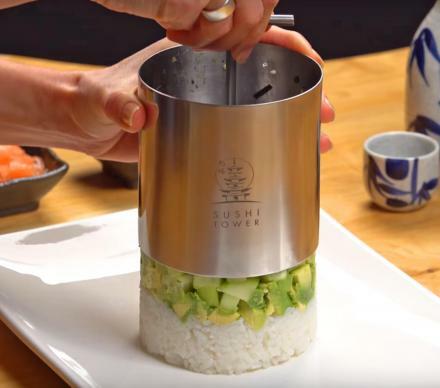 The touchscreen coffee table is great for sharing photos videos with friends and company if you don't have a tv that was made in the last 10 years, playing with an interactive koi pond if you don't have a tablet, or looking up unmentionable things when you don't have a girlfriend or a computer. 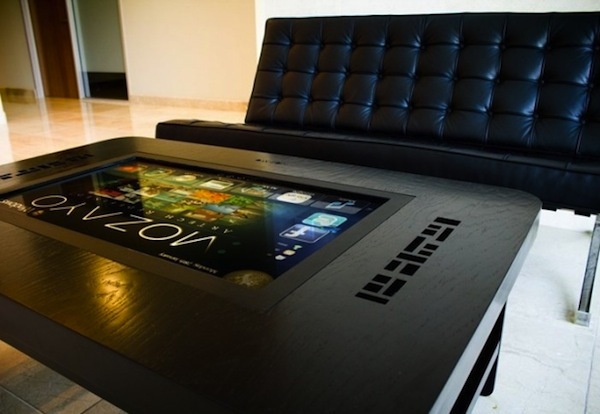 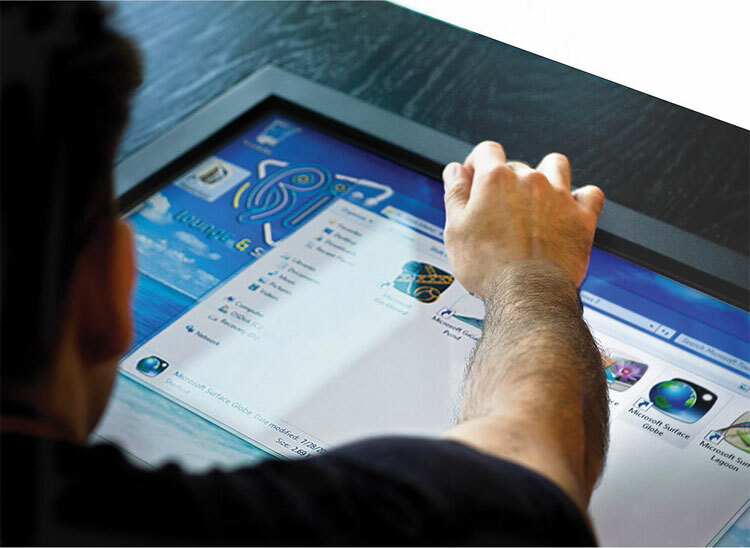 The giant touchscreen coffee table has an intel Core i5 3.2GHz processor, 6GB of memory, a 500GB hard drive, has a 1366 x 768 resolution, and suports wi-fi and bluetooth.